WE'LL HELP YOU CHOOSE THE BEST INSTANT TURF FOR YOUR NEEDS. 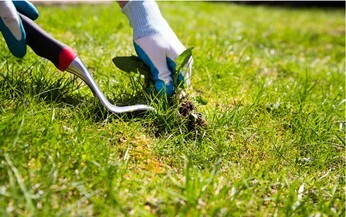 Quality natural and synthetic lawns from one of Adelaide’s longest established turf specialists. Expertise and service you can count on. 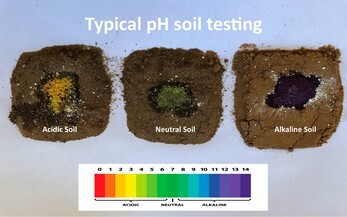 Soil pH – What is it and why is it important? 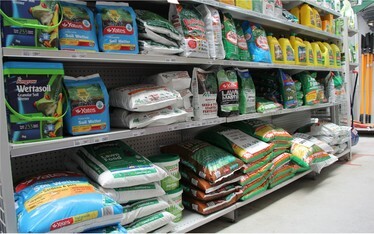 Now is the ideal time to fertilise! Holding off on your Autumn application of fertiliser till early to mid April ensures the best possible outcome for winter colour and early Spring emergence. Weed Control in Lawns without using chemicals – Is it possible? It’s a question we get asked regularly from people who have genuine concerns over whether off the shelf chemicals will have an effect on not only themselves, but wildlife, pets and livestock. Did you know that Paul Munns Instant Lawn supports humanitarian projects in Cambodia? Your valued custom is making a difference in the lives of the poorest of the poor. Subscribe and receive exclusive offers and discounts. 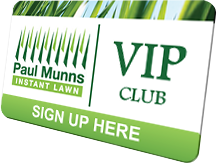 Whether you have an existing lawn or are putting a new one in, Join our VIP club and get the inside edge on keeping your lawn in top shape.